Adonis – "Fine sculpture for every environment"
The virgin Myrrha who had been impregnated by the god Zeus fled for her life from the Titans who wanted her child. She prayed to Zeus to be released from her human form. With his typical ironic sense of humor, Zeus transformed her into a myrrh tree. 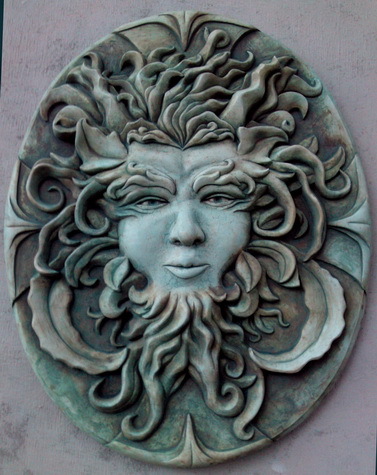 At that very moment she gave birth to Adonis… the archetypical greenman.